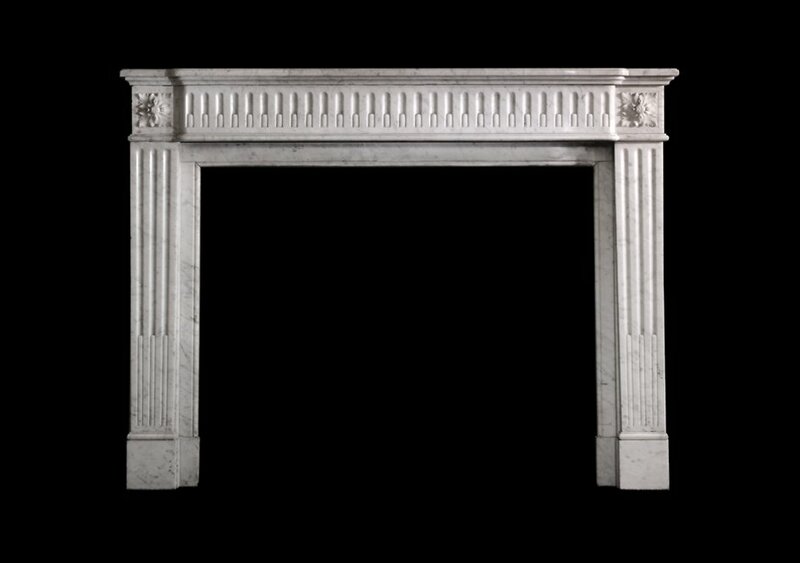 A 19th c Louis XVI style Carrara marble chimneypiece with breakfront frieze and conforming shelf. 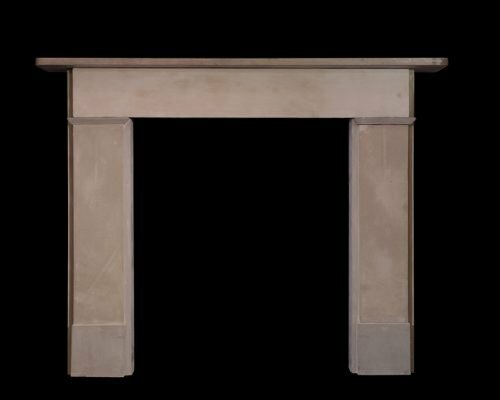 The stop fluted frieze flanked by square rosette corner blocks on fluted jambs. 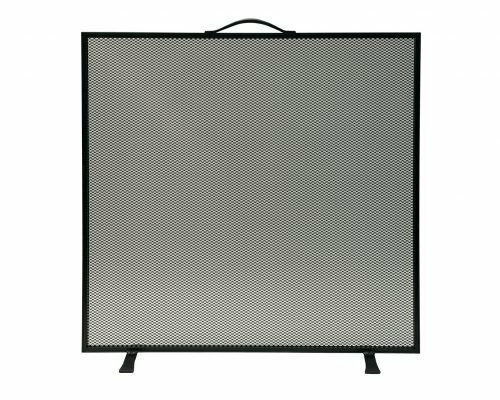 A traditional flat fire screen of simple design in fine black mesh with black elements. 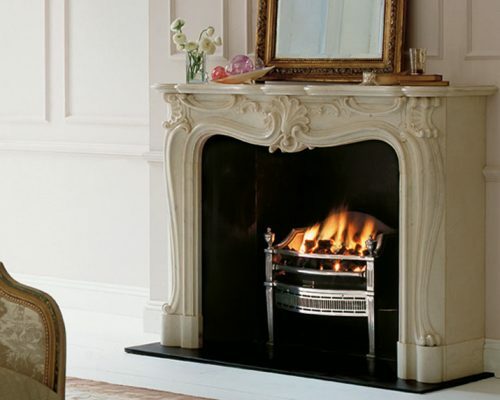 A beautiful example of a French chimneypiece from the Rococo period: around 1750.